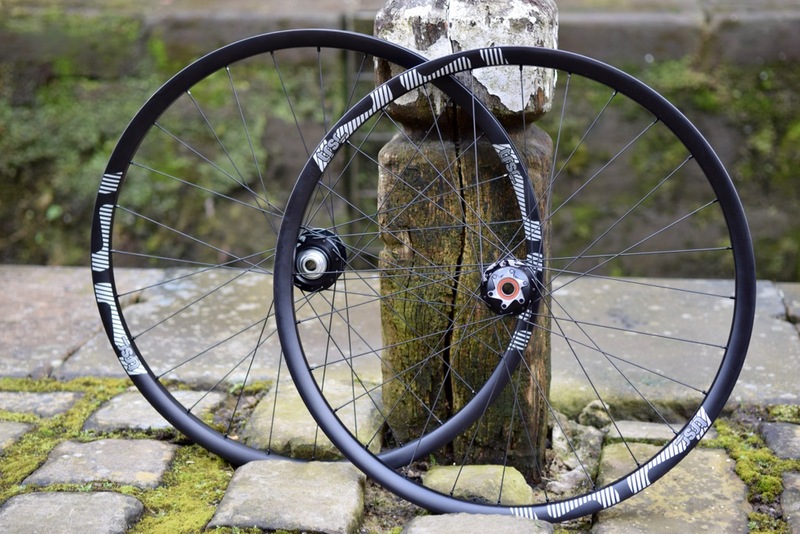 Along with dropper seatposts and tubeless tyres, the wide-range drivetrain has been one of the most sought after upgrades for mountain bikers over the past few years. But what began as an ultra-premium product, reserved for riders with sufficiently deep jersey pockets, has since become available to the masses thanks to a variety of trickle-down groupsets and drivetrain mods. 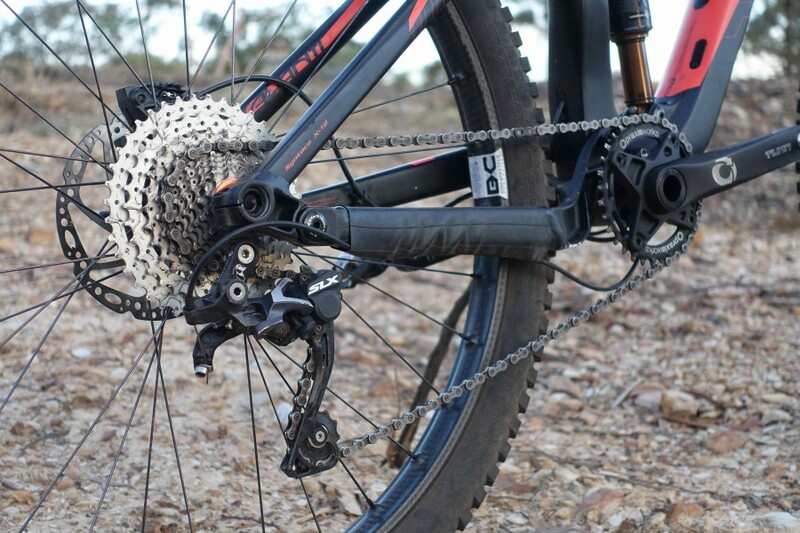 Booster cogs and wide-range cassettes (such as the Praxis 11-40t reviewed in Issue #102) have allowed riders to convert their perfectly good 10-speed drivetrains into a simple and usable 1x setup. 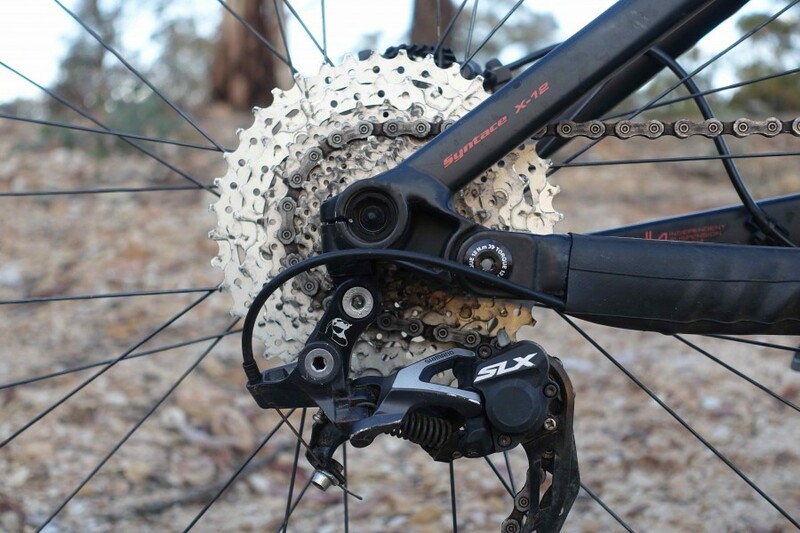 The benefits of a 1x drivetrain are well documented (and well marketed), but if you’re not quite ready to shell out for a whole new SRAM or Shimano 11-speed groupset, a conversion cassette presents a compelling argument for increasing your bike’s low-range gearing. US company Lindarets is all about giving your 10-speed cassette a wide-range boost, but having used adapters themselves, they saw an opportunity to address the compromises in drivetrain wear and shifting performance that can sometimes come with a conversion setup. If you’ve fitted a booster cog such as the Hope T-Rex or the One Up Cassette Adapter, you’ll know that the rear derailleur requires a fair bit more tension in the B-screw adjuster to get the upper jockey wheel to clear the biggest 40/42t sprocket. In some cases, you may even need a whole new B-Tension crew to make it all work. 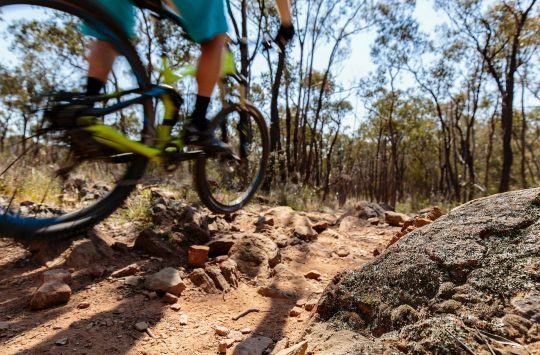 Depending on the bike and the derailleur used, riders may have to put up with poor shift quality and excess chain noise. Which brings us to the GoatLink. The GoatLink is designed by Lindarets and made by Wolf Tooth Components in the US. 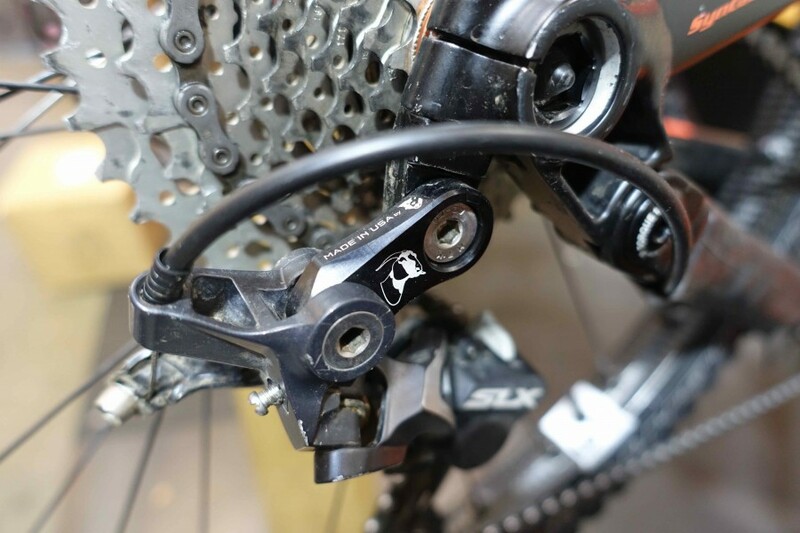 It’s compatible with Shimano 10-speed Shadow derailleurs, such as the SLX Shadow Plus I’ve been using, where it replaces the small Direct Mount link that connects the derailleur to the hanger. If you’re running SRAM or you have an older model derailleur, you’re out of luck here. But for those with a newer Shimano 10-speed mech, the purpose of the GoatLink is to rework the derailleur’s shift geometry, so it can better glide up the cassette to the oversized 40/42t sprocket on your boosted cassette. It is also designed to offer increased chain wrap, which Lindarets claims is to offer reduced drivetrain wear and smoother shifting. For the past few months, I’ve been running a Praxis Works 10-speed cassette on the back of my Avanti Torrent test bike. 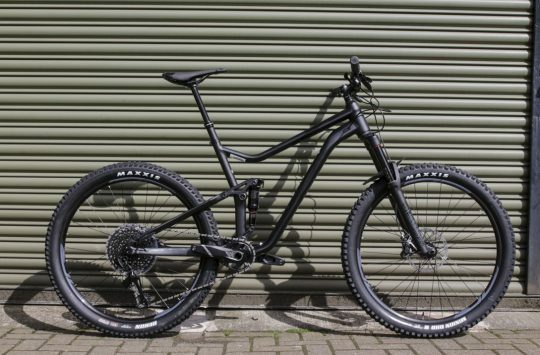 It’s setup with a Shimano SLX 10-speed shifter, a long-cage rear derailleur, a Turn crankset up front and a Praxis Works 32t Narrow-Wide chainring. With the stock derailleur, I didn’t have too many issues setting it up to clear the 40t sprocket, but in the workstand the shifting has never been as smooth as I’d expect from an equivalent Deore XT cassette. 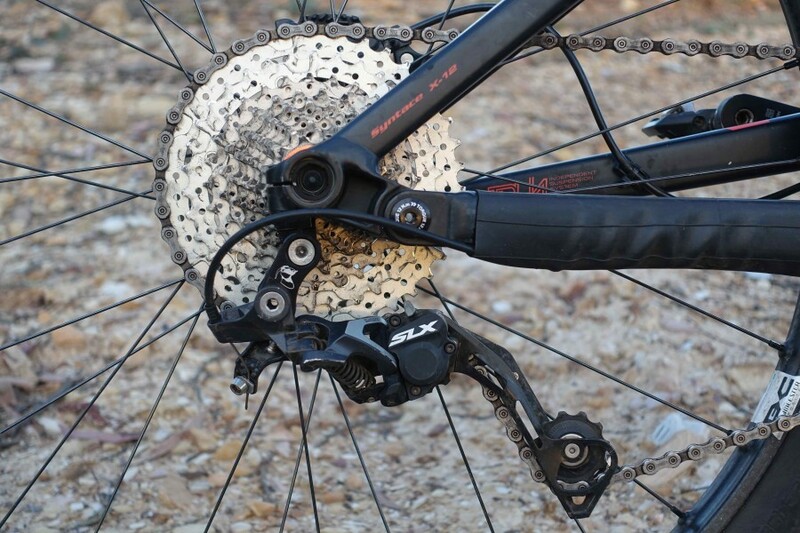 The derailleur is a little hesitant getting up to the larger sprockets, and no amount of fettling could get it gliding up and down the cassette in a balanced manner. Out of the trail it’s far less noticeable, and you soon learn to deal with any shift hesitation by slightly over-shifting to compensate. And it has to be said that compared to other cassettes I’ve ridden with a 40/42t adapter, the Praxis Works is without doubt the best shifting solution out there for riders wanting more range from their 1×10 setup. Intrigued to see if it would have any effect on the shifting, I received a GoatLink from Lindarets to put to the test. Installing the GoatLink is as easy as pie, and all it takes is a 5mm hex key. Simply remove the Direct Mount link from the derailleur, install the GoatLink, then bolt the whole unit back onto the hanger. From there I was able to back off the B-tension a number of turns, as the GoatLink pushes the upper jockey wheel further around the cassette so you don’t have to max out the B-screw. You can still get the jockey wheel sitting nice and close to the cassette teeth, but there’s less rumbling and there’s noticeably better chain wrap. In all honesty, I can’t say that the GoatLink creates a dramatic improvement in shift quality. I’d say it’s probably a 5-10% improvement, but my earlier comments on conversion cassettes not shifting as well as a standard 11-36t cassette still stands. That said, the shifting has been marginally quieter thanks to the GoatLink reorienting the jockey wheels further around the cassette. What is noticeable is how much more the chain wraps around each gear. With more chain wrap, there’s reduced pressure on the sprocket teeth, which will reduce wear in the long term. And this is essentially what the GoatLink is designed to do. After three months of testing, the Praxis Works cassette is still looking good, and that’s even the case on the larger sprockets, which are made from alloy rather than steel. One sidenote about setting up a conversion cassette: I’ve noticed that tension in the Shadow Plus friction clutch plays a big role in shift feel. Too much tension and the shifting is incredibly heavy and vague. Obviously you want enough tension to stop the chain from bouncing around, but try removing the cover from your Shadow Plus mechanism, and winding off the clutch tension to get a lighter shift feel. If you’re running a conversion cassette, the Lindarets GoatLink is a small investment that will improve drivetrain wear so you can get more life out of your drivetrain. It won’t offer a huge increase in shifting performance, but it does increase chain wrap significantly, and it gives you back usable adjustment of your derailleur’s B-Tension screw. 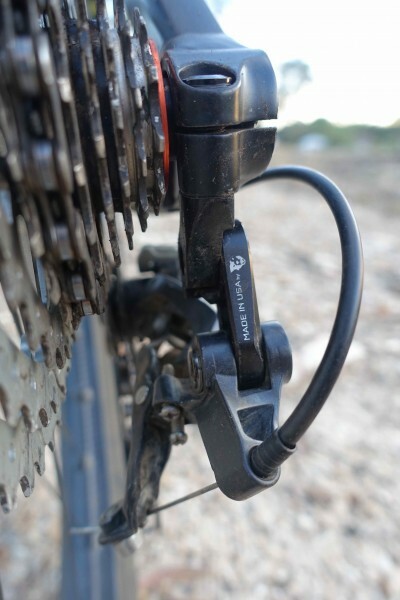 If you are running a Sram or older rear mech, get the roadlink rather than the goatlink. I am using one with a praxis 11-40/105 med cage mech and it works fine. No shifting issues at all so far.